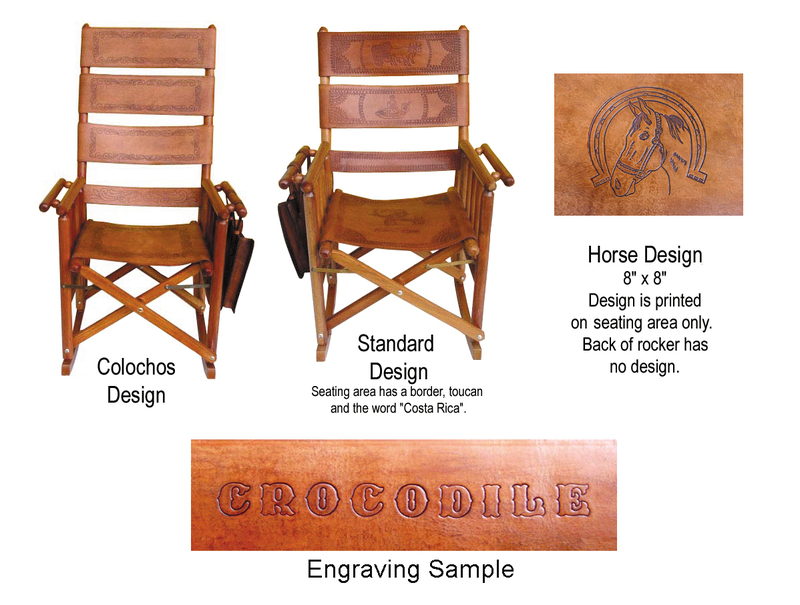 Click small photo to see debossing designs options. No design - max 13 letters on top leather strap. Horse design - max 13 letters on top leather strap. Colochos design - max 10 letters on top leather strap in center area of border. Standard design - max 10 letters on top leather strap in center area of border. oxcart debossing will be deleted. 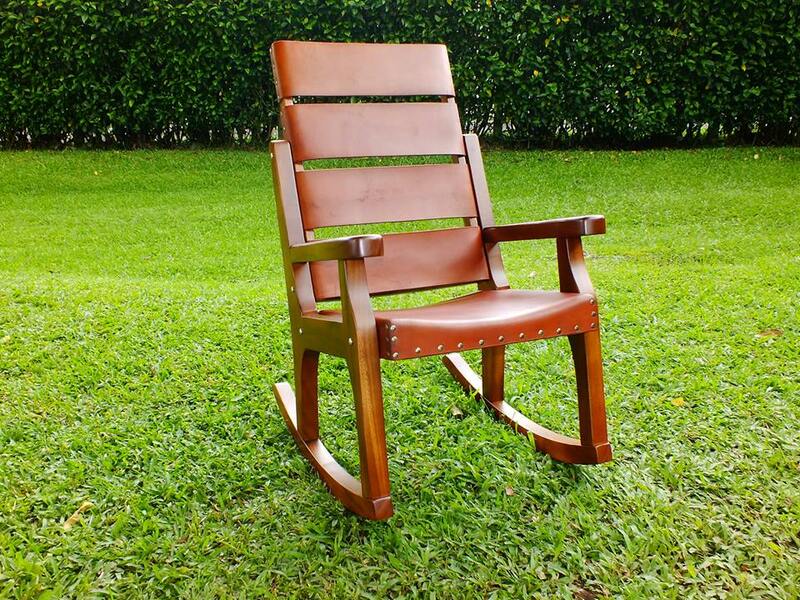 Materials: Guanacaste and Cenizaro wood. Genuine leather. 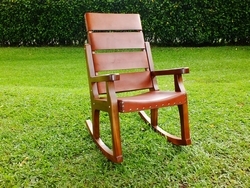 Click here to see more rocking chairs!